As much as it is hard to maintain an eco-friendly behavior while traveling it has become an unavoidable necessity nowadays. In Australia, environmentally-friendly and culturally responsible tourism is making significant positive contributions to the cultural, economic and environmental well-being of the country. 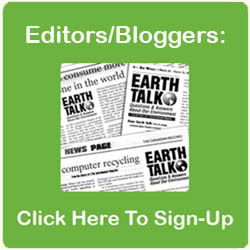 Eco-tourism can be defined by a variety of travel practices. As an eco-tourist you accept the sustainable tourism – you decide to travel in a way that no matter what you do or where you are you will do nothing to contribute to degradation or harm the environment. A definition adopted by Ecotourism Australia (EA) explains the true meaning of maintaining an eco-friendly behavior while traveling. With all aforementioned, we come to a conclusion that the best way to be eco-friendly even when traveling is to explore the destination on foot. As an eco-tourist in Australia, you can opt for guided walking holidays where you will spend most of your sightseeing being active and well, walking or you can opt for a self-guided exploration that takes a lot of planning in advance. Either way, you will reduce the carbon footprint of your trip and enjoy an eco-friendly vacation! 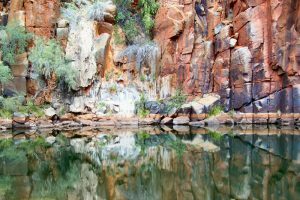 One of the best hiking trails in Australia where you can practice being an eco-tourist is certainly the Larapinta Trail. 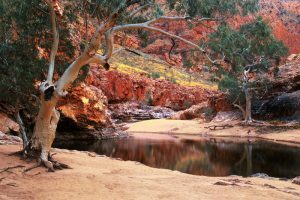 Located in the Northern Territory, the 223 kilometers long trail is nestled in the wild and raw, bush and rugged landscape of the Alice Springs region. This magical trail is heaven for eco-friendly tourists, trekkers, and trampers from all over the world. The Larapinta Trail is relatively difficult, and it is perfect for experienced adventurers. However, this trail will certainly attract many individuals with different levels of experience, adventure-seekers who are brave enough to explore the wondrous views of mountain ranges, dry creek beds, deep gorges, and much more. 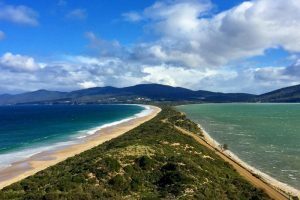 Explore magical wonders of Bruny Island, an untouched place located on the Southern-east coast of Tasmania. Reconnect with nature on your eco-friendly journey to the mesmerizing island that contains a mix of towering dolerite cliffs, rich heathlands, long sandy beaches and eucalyptus forests. This diverse landscape is a true paradise for eco-tourists who want to reduce their travel carbon footprint! Discover the natural delights of the island’s diverse landscapes and wildlife while being a part of ecologically sustainable tourism during Bruny island hikes. 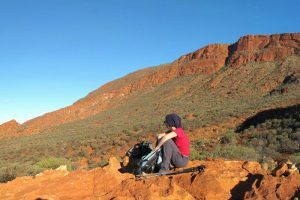 The Summit Trail is located on the Mount Augustus where you will have the opportunity to climb “the world’s largest rock”. It is 12 kilometers long and it takes about seven hours to complete. During your walk you will be able to see the fascinating explosion of colors when the Sun is low on the horizon; from indigo to bright orange, pink, red and the green – a perfect gradient transition of colors that will take your breath away. After experiencing such marvelous panoramic views created by nature you will certainly think about your actions and the importance of being eco-friendly whenever and wherever you are. It is not an easy trail but it will worth every step of the way! One of the best, scenic walking experiences in Australia is certainly the longest coastal walking trail known as the Cape to Cape Trail. 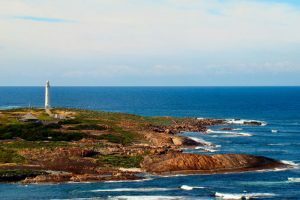 This incredible trail is nestled between the Cape Naturaliste in the north and Cape Leeuwin in the south and is running alongside with the amazing, vivid blue waters of the Indian Ocean. It represents a showcase of Australia’s unique rock formations, limestone caves, majestic cliffs, and lush Karri forest. The stunning beauty of nature will inspire you to always choose environmentally-friendly and culturally responsible tourism in order to keep the planet clean and healthy for the future generations! This trail is 8 kilometers long and it is located between Mount Herbert and Python Pool. If you walk along this trail early in the morning you will boost your energy simply by soaking in the view of the beautiful landscape that changes color while the sun rises. The beauty of this trail will certainly help you maintain an eco-friendly behavior while taking part in the hike. The unique formation of the Python Pool makes it a location that must be on the top of your to-see list. It is edged by red rocks plus it is suitable for swimming so you can refresh during your hike. The Camel Trail got its name due to the fact that one part of it used to be a camel road. 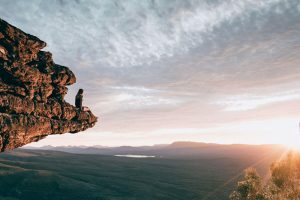 Pack light and eco-friendly and start your adventure by taking part in one of these amazing hiking trails in Australia. Learn about the rich history of these special places, while discovering the true essence of nature around you. Focus on eco-travel – experiencing natural areas and do what is in your power to help preserve nature and wildlife while making sure you are reducing the carbon footprint of your trip.